Ballast Point expands California presence with first-ever brewery at Downtown Disney District. Credit: PRNewsfoto/Ballast Point Brewing Company. A Ballast Point Brewpub brewery has opened in the Downtown Disney district of Disneyland Resort in California, US. Offering a Southern California-inspired menu and more than 50 beers across 100 tap lines, Ballast Point Brewpub is the first brewery in Downtown Disney. Ballast Point Brewing Company president Ben Dollard said: “Ballast Point is born and raised in Southern California, so we’re particularly excited to strengthen our relationship with the local Anaheim community and beyond this, the many guests who visit Disneyland each year. The new 4,000ft² area features a glass-enclosed bar and restaurant, as well as a 3,000ft² outdoor beer garden featuring cabana-style chairs. Seating 220 people, the main taproom features several semi-private and private spaces. It also features an on-site, three-barrel brewing system, which supports the production of limited-edition research and development (R&D) brews, alongside existing Ballast Point beverages such as Sculpin IPA, Fathom IPA and Victory at Sea. 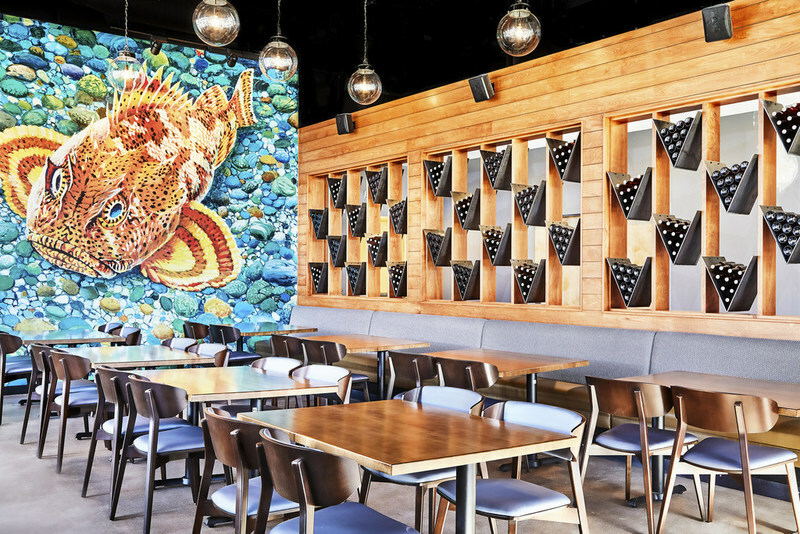 With the new location, Ballast Point now has nine tasting rooms across the US. Other locations include San Diego, Virginia and Chicago. Ballast Point also plans to open a brewery and kitchen in San Francisco, its first in Northern California.